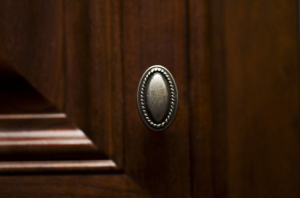 If you are replacing kitchen knobs and/or pull handles on existing cabinets, it is helpful to know what style type hardware you are shopping for. Kitchen cabinet hardware is divided into three broad style categories: Traditional, Contemporary, and Transitional. Often known as “Old World” these are classic designs, often inspired by historical architectural and design features. Traditional style is the most popular category of cabinet knobs and pulls, because most kitchen designs are traditional. 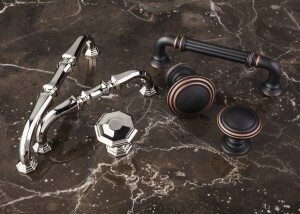 Traditional collections from Top Knobs include the Normandy, Tuscany, Edwardian, Aspen, Britannia, and Bronze (oil rubbed) collections. 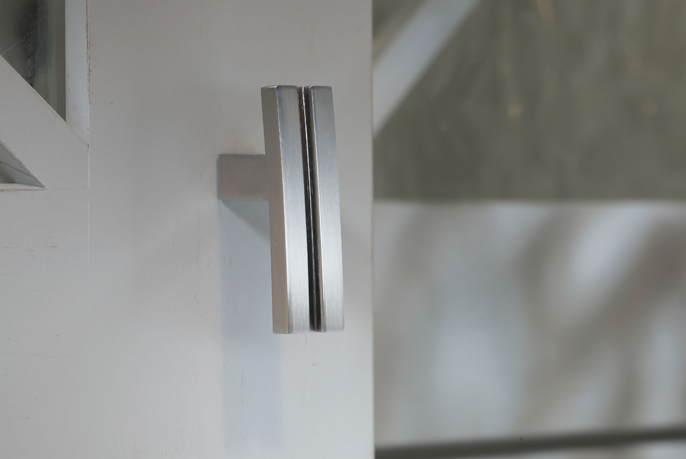 Contemporary designs feature sleek lines, sharp angles, minimalist features, and modern finishes such as brushed satin nickel, polished chrome, and stainless steel. The look of the kitchen is modern, sleek, and elegant. The Contemporary collections available from Top Knobs are Sanctuary, Sanctuary II, Nouveau, Nouveau II, and Nouveau III. 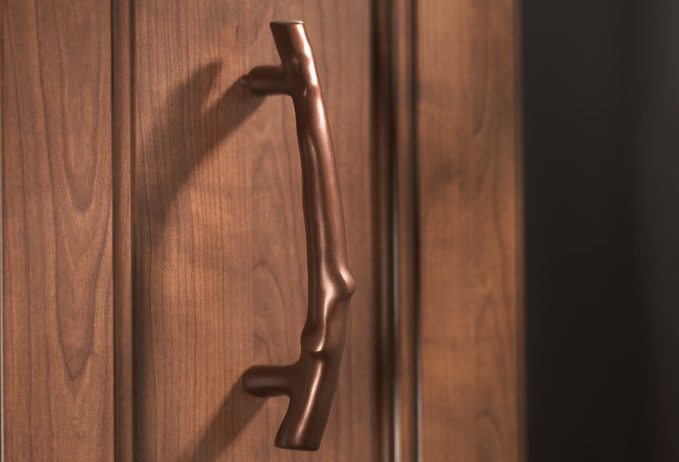 Transitional knobs and handle pulls are a blend of Traditional and Contemporary styles. These can be Traditional designs with Contemporary finishes, or Contemporary designs with Traditional finishes. The look can be quite striking. Top Knobs Dakota, Asbury, Somerset I, and Somerset2 collections are considered Transitional looks. Top Knobs, known for their exceptional kitchen cabinet hardware, rounds out their beautiful Chareau Collection with the addition of three new pattern suites including Reeded, Chalet and Shrewsbury. The Chareau Collection initially was launched late in 2012 with a few classic Tuscan designs that were updated for today’s transitional and modern kitchens. 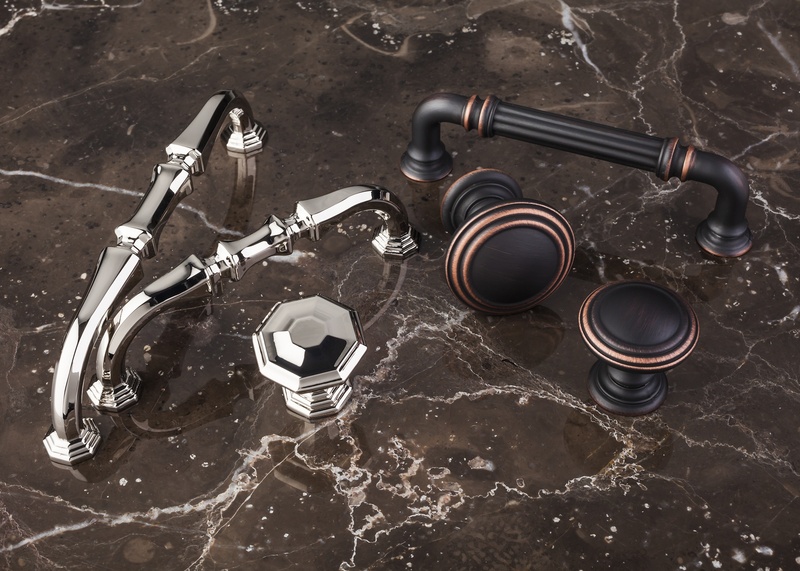 These were so popular that the collection has been further expanded and is available in five finishes – Black Iron, Tuscan Bronze, Brushed Satin Nickel, Polished Nickel and Polished Chrome.